BSNL Kerala Telecom circle, BSNL's most profit generating telecom circle, provides short codes for its 3G & 2G GSM Prepaid mobile customers. These codes will help the prepaid customers to know and verify the details of their GSM Mobile Number, Current Plan, Main Account Balance, Account Expiry date, Special Tariff Voucher details, F&F (Friends & Family) Numbers etc. 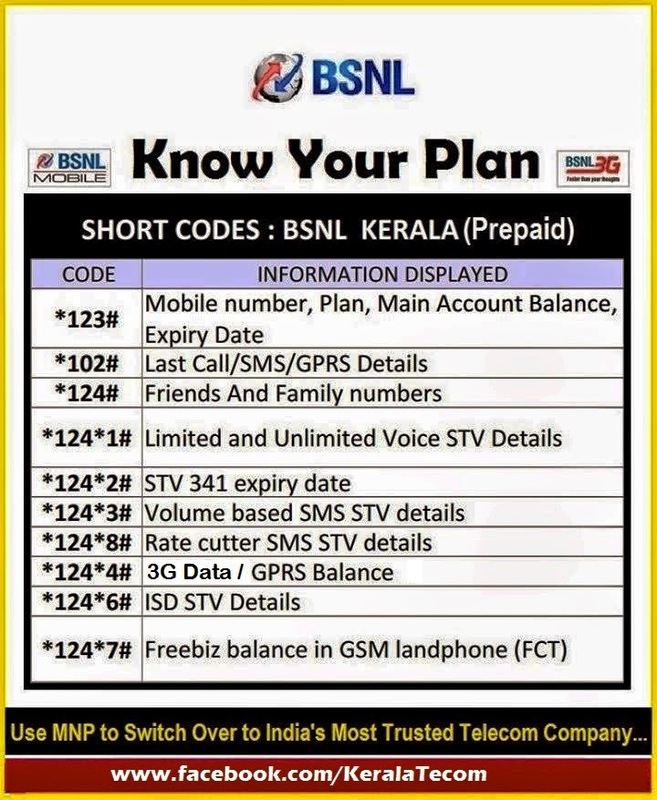 Now, Prepaid customers of BSNL Kerala telecom circle may easily know the details of Voice Usage balance, Latest Voice Call, Databalance, Friends and Family Numbers, SMS balance enquiry etc. by dialing these short codes. Dear Readers, how many of you are familiar with these short codes? Any other private operators are giving you such facilities, free of cost ? Please share your experiences with us. Dear Readers, BSNL Kerala Telecom Circle has Changed the USSD Selcare Short Codes from 16-12-2014 onwards.